Kick off the first day of Fashion Revolution Week in Fargo-Moorhead with a documentary screening on one of the most important films of our lifetime. 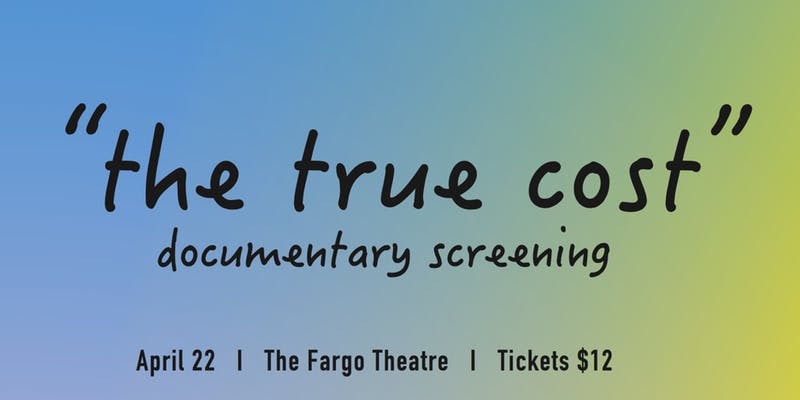 The True Cost will play for one evening at The Fargo Theatre. Filmed in countries all over the world, from the brightest runways to the darkest slums, and featuring interviews with the world’s leading influencers including Stella McCartney, Livia Firth and Vandana Shiva, The True Cost is an unprecedented project that invites us on an eye-opening journey around the world and into the lives of the many people and places behind our clothes.